The Actuarial Association of Europe (AAE) was established in 1978, originally as the Groupe Consultatif Actuariel Européen, to represent actuarial associations in Europe. 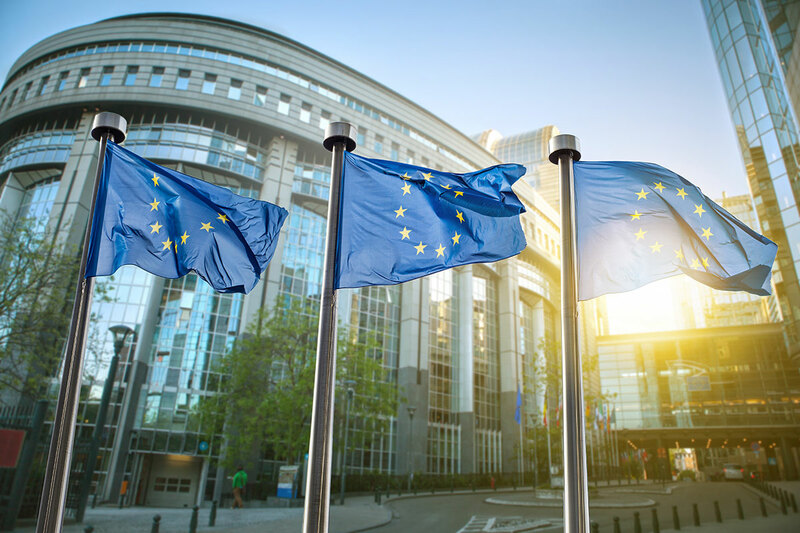 AAE has commented on EIOPA’s Call for input on the Solvency II reporting and disclosure review. The AAE response can be found here. A summary of the AAE response is available here. Today the AAE issued a press release with respect to the publication of the discussion paper ‘Meeting the Challenge of Ageing in the EU‘ . The press release is available here. 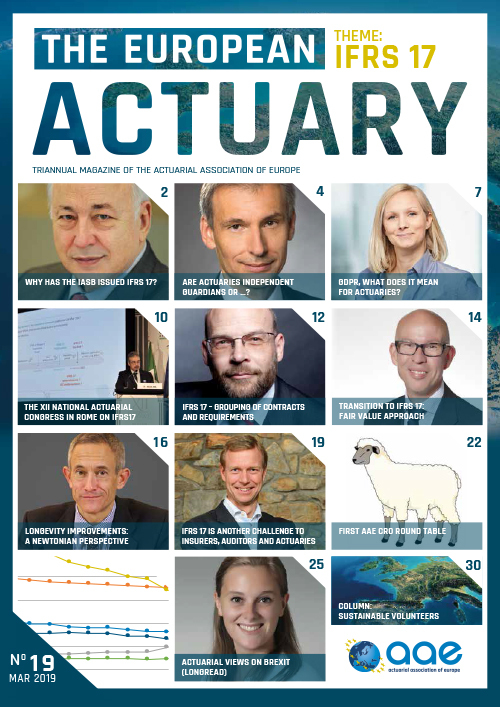 The March 2019 issue of The European Actuary has been published. 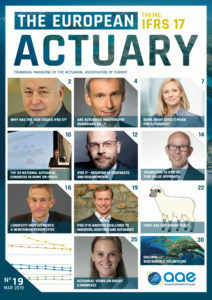 On the website of The European Actuary you can find all previous issues of the magazine. Organised by the EAA – European Actuarial Academy GmbH in cooperation with the Hrvatsko Aktuarsko Drustvo. Organised by the EAA – European Actuarial Academy GmbH in cooperation with Den Danske Aktuarforening.